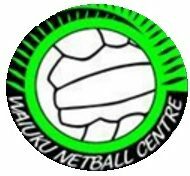 Coaching – Waiuku Netball Centre Inc.
Waiuku Netball Centre are giving new and experienced netball coaches the opportunity to obtain and enhance their skills by running a series of coaching modules, which will be facilitated by Tracey Spence and Tania Heap from Netball Northern. Some of these will also be run by our very own Rachel Browne-Cole The Centre will cover the costs so these modules are presented at NO charge to our coaches. Community Coach Award Level 1: To obtain your community coach award, you will need to complete 9 modules which are designed to provide sound basic knowledge and skills to develop coaches and players in the community. The Player Centred Coaching module scheduled on the 15th of February is a prerequisite module for level 1, which has to be completed before moving on to the follow-on modules. Future Ferns (6- a-side) Coaching Modules: These 2 modules will equip future fern (6-a-side) coaches with the required skills to coach, and knowledge to comprehend the variations of the game. Community Coach Award Level 2: Coaches who have already obtained their level 1 award, can now move on to the next 7 modules which are designed to further develop their skills and reinforce ethical approaches to netball.